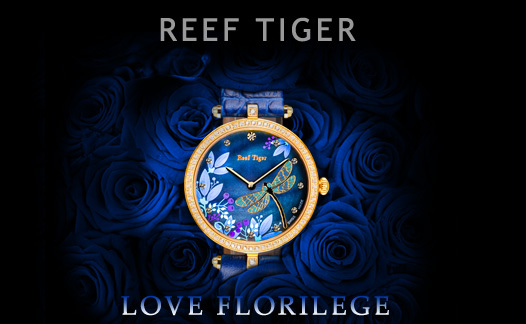 Reef Tiger Love Florilege is inspired by spring garden, using the pureness to confirm the eternal love. 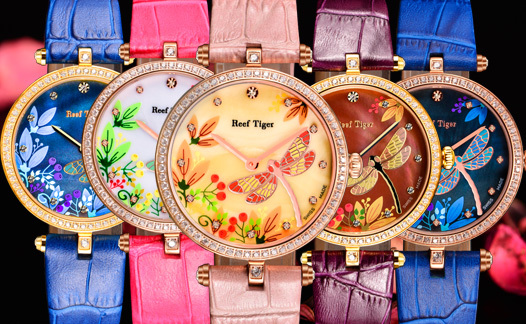 In order to fit women’s charming temperament, Florilege watch is only 7.8mm thick, the ultra-thin case perfectly fits wrist and brings comfortable wearing feeling. Florilege watch adopts more slim and independent lugs design, and embeded with diamonds, the unique style not only makes it not just a watch, but also a perfect jewelry that shines yourself. 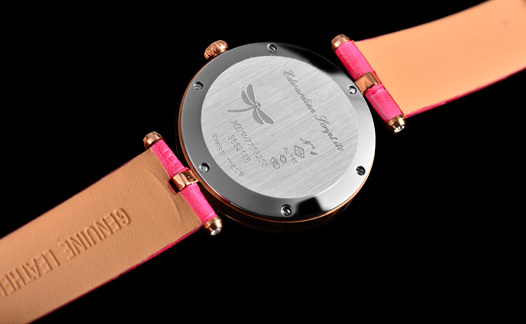 Spring ofte signfies hope and love, the designer of Florilege watch uses spring garden to express love, a dragonfly stops on a blooming flower, the good thing is about to happen. All watches are embeded with diamonds, dazzling. Swarovski crystal elements cover the whole watch, the case, lugs and even clasp are embeded with diamonds, stylish and luxury. 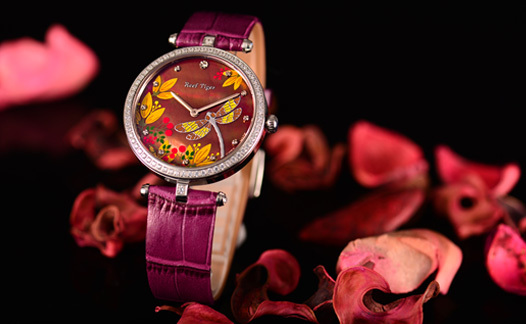 In order to match the numerous and varied case design, the Florilege watch uses multi-color idea, red, pink, blue, purple, black, just like the flowers in spring, there is alway one model fits for your mind. Swiss Ronda 762 movement guarantees the precision, the watch shows accurateness and balance, which sublimes the brand innovative spirit.